There are ongoing research studies for dystonia at Mount Sinai Beth Israel. If you have dystonia and there are two or more family members with the condition please email movewell@chpnet.org for more information about how to participate. Participation involves filling out paperwork, having a neurological exam, and giving a blood sample. Natural History Studies are integral! The genetics team at Montefiore Medical Center is now offering BRCA mutation testing at a subsidized rate for interested individuals as par of a research initiative. then you are eligible to participate and can pursue BRCA mutation testing through this initiative. To participate in the BRCAcommunity research study, and to think about testing for the Ashkenazi Jewish founder mutations in the BRCA genes, please visit the study website for more information. There are multiple ongoing research studies for Parkinson’s disease at Mount Sinai Beth Israel. If you have Parkinson’s disease or dystonia and there are two or more family members with the condition or if you are a glucocerebrosidase mutation carrier (Gaucher) or LRRK2 mutation carrier, and are interested in research, please contact 212-844-8579 and leave a message, or email movewell@chpnet.org. The Alan and Barbara Mirken Department of Neurology Center for Movement Disorders at Mount Sinai is a comprehensive center for the treatment of Parkinson disease, essential tremor, dystonia, ataxia and chorea. It is a National Parkinson Foundation Center of Excellence, and a Bachmann-Strauss Dystonia and Parkinson Foundation Center of Excellence. Increased understanding of Parkinson’s disease genetics offers the possibility for the development of improved treatments for those living with Parkinson’s. Individuals of Eastern European (Ashkenazi) Jewish descent are more likely than the general population to carry a mutation in the LRRK2 gene, the single most common genetic contributor to Parkinson’s. Identifying and evaluating people who carry a LRRK2 mutation, whether they have Parkinson’s disease or not, can be extremely valuable to discovering new treatments for the disease. The Parkinson’s Progression Markers Initiative (PPMI) is a landmark clinical study sponsored by The Michael J. Fox Foundation to better understand the progression of and risk factors for Parkinson’s disease. To learn more visit, https://www.michaeljfox.org/page.html?ppmi-genetics, or see the following brochure. To participate in Dr. Nir Barzilai’s research study to uncover genetic and environmental factors which contribute to the longevity, please visit the Longevity Genes Project for more information. To participate in Dr. Judy Cho’s research study regarding genetic and environmental factors which contribute to the development of IBD, please email ibd@yale.edu. You can also visit http://Ibd.yale.edu or www.facebook.com/YaleIBD for more information. The Crohn’s & Colitis Foundation of America (CCFA) supports several major ongoing research initiatives and clinical studies to encourage cooperative efforts among investigators, research centers, and other resources. 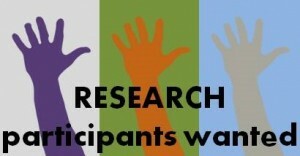 Visit http://www.ccfa.org/research to learn more about these current studies and how to participate in research. Follow this link to participate in an optional online survey researching the desire for BRCA testing in the Jewish community. The survey is anonymous, open to both men and women, and will take around 5 minutes to complete.